1. Place the jacket on the floor, the right side facing down. At first, you'll probably need to do this for your child, but it won't be long before he figures out how to "do it myself!" 3. 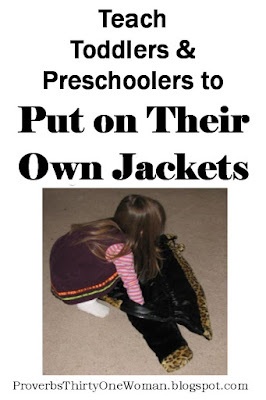 Have your child flip the jacket over his head. Viola! It's on correctly and you or your child can now zip it up. This post is an updated version of one that originally appeared in October of 2009. Then I had children. 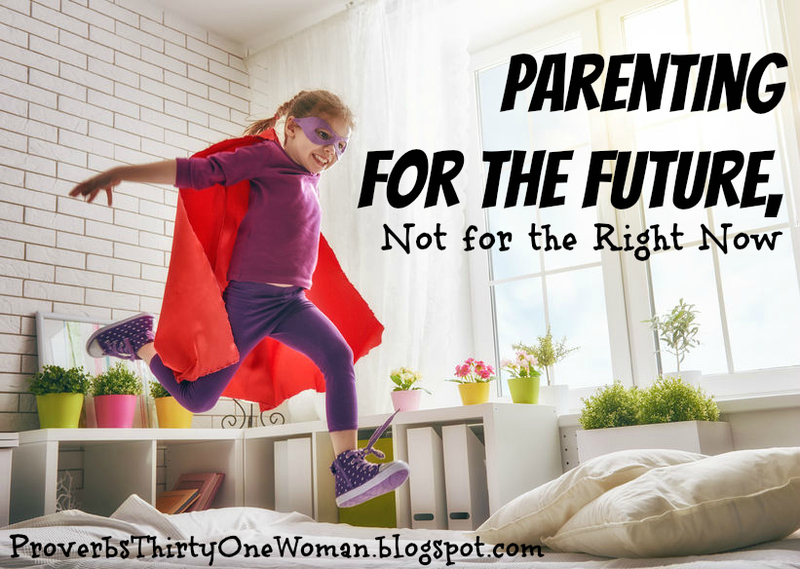 I held to the parenting ideas I'd formed pre-kid...and they worked pretty well until my daughter turned three. Then she began asserting her will. I did all the "right" things to shape her behavior, but as the years moved forward, I began to realize my parenting techniques weren't working. I was utterly exhausted. My body was sick. My mind was frazzled. I was so unhappy. My child was unruly. 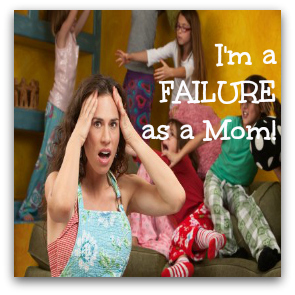 I was a failure as a mom. 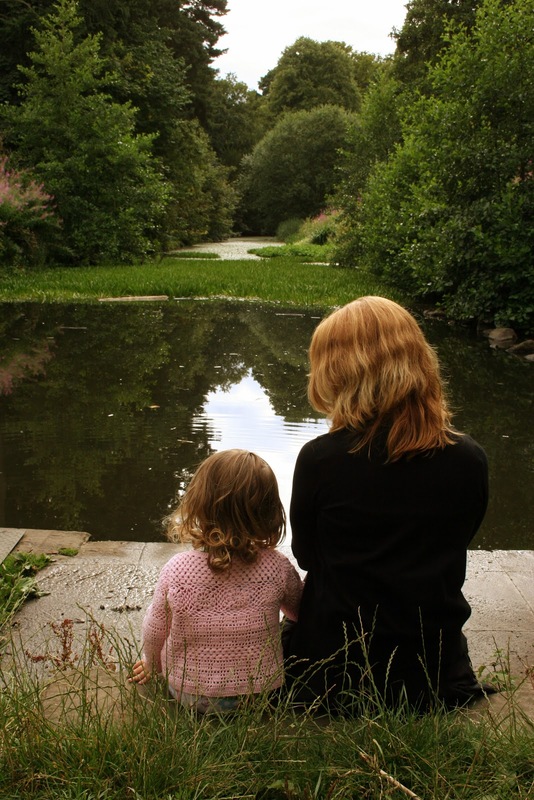 But here's the thing: I believe God brought me to that broken point - feeling like an utter failure - so I could finally get this through my thick head: I had no idea how to be a Christian parent. My parents weren't (aren't) Christians. 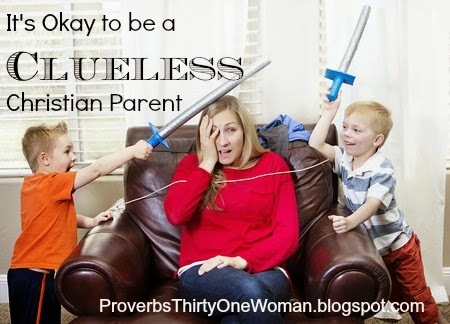 I never had an example of Christian parenting to follow. I was clueless. I probably spend more time praying for my children and my parenting skills than I do praying for anything else. Prayer is my life preserver - because most days I feel like I have no idea what I'm doing. 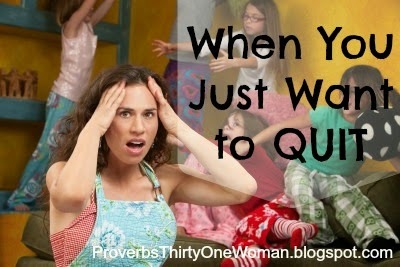 Most days, I'm sure I will drown in a sea of exhaustion....taking the kids - and perhaps the whole neighborhood - with me. Pray for wisdom, because God promises he will grant it. Pray for guidance in how to discipline, because not disciplining is not a choice Christian parents can make. Pray for opportunities and ways to shape your children's character. Pray for ways to help guide your children to Christ. Pray that God will guide them toward Christ. Pray for a way to get through the day! And while you're at it, let your kids see you pray. Whether you're praying a quick, "Jesus, help me!" or are flat on your face before the Lord, don't make a big show of it, but leave your bedroom door open a crack so your children can see who you turn to. I really do know know how hard it is to read the Bible when you have young children. But it's really not negotiable. Christians must know God's word. They must read it every day. Period. How are they parenting? I'm certainly not suggesting you mimic their every move, but sometimes they'll mention something - or you'll simply observe something - that hits your heart and you know you need to bring into your own home. Did he come from a Christian home? 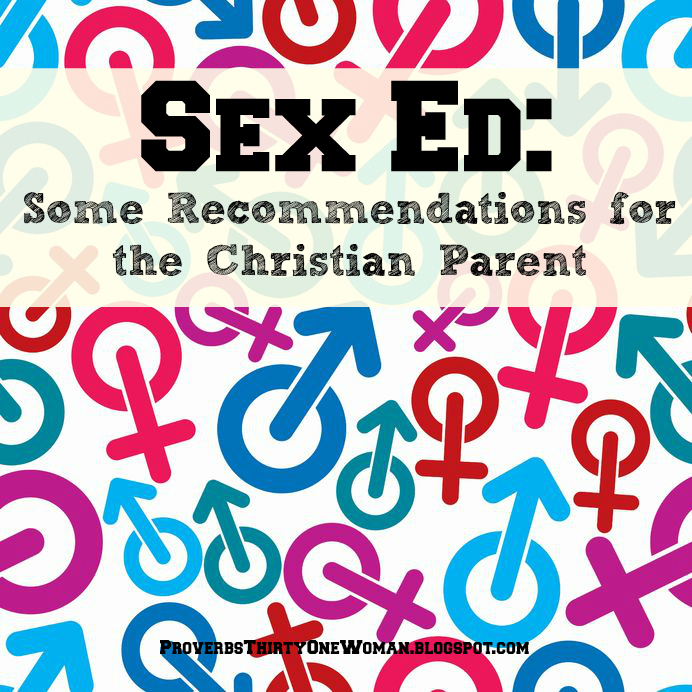 Does he feel his family was a good example of what Christian parenting should be? What worked and didn't work in his family? Try to get on the same page as your husband...and if this is difficult, pray about it. Without ceasing. You are not in control. Let's repeat that again: You are not in control! And, really, that's a good thing! God commands the ship and he can certainly manage your children. Ultimately, God will shape your children as he sees fit. Only the Father can change our children's hearts. Give God that burden - because, in reality, it's not yours! Have hope. Keep going. Turn to God in everything. He has a plan. Trust him. In our modern society, with it's oh-so-easy Velcro shoes and hurried pace, a lot of children are learning to tie their shoes at an older age than they used to. At our house, my just-turned 9 year old was having a terrible time consistently tying her shoes. She's a smart girl, but learning to tie shoe laces isn't all that easy. And no doubt I contributed to her problem by saying things like, "Hurry up! We'll be late! Just throw on your flip flops!" So recently, I searched the Internet for shoe tying ideas. There are tons of them. But the simplest one I found - and the one that WORKED - was the one in the video below. If your child can cross his or her shoe laces and create the "knot" that is the basis for bows, they can master this method of shoe tying in about 1 minute! A few weeks ago, I noticed my children were suddenly full of the wants. When we went shopping, they wanted me to buy things for them. When they were playing with their toys, they talked about toys they "really, really wanted." When we put them to bed at night, they went on and on about stuff they didn't own but longed for. Um, yeah. They needed to focus on being thankful. Happily, it didn't take much to redirect their thoughts away from stuff they want. If your kids seem to want and want and want, try these ideas I use for teaching my children thankfulness. * Pray. First and foremost, pray privately for God to show you how to teach your children that more isn't better, that they already have what they need, and that more stuff doesn't bring happiness - in fact, often it brings the opposite. * Set the Example. If you are busy chasing after stuff, always coveting what others have, or wishing for more, so will your kids. Pay close attention to your actions, words, and attitudes, to ensure you aren't setting a bad example. * Research. Show your children how less fortunate kids live. Explore this in as many ways as you can. For example, together look at these photos from Where Children Sleep, search for National Geographic photos of children around the world, and read books like God Provides Homes Around the World. * Make Thankful Lists. You can do this in many ways. For example, every night at the dinner table, every member of the family might mention 1 - 3 things they are thankful for. Or, the children could make a paper chain and every day add a new thing they are thankful for. Older kids can keep a gratitude journal. * Make 'Em Pay. 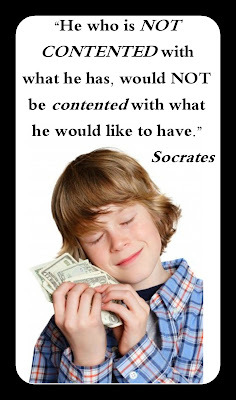 Provide a way for your children to pay for things themselves. I'm not talking necessities here - only wants. Even very young children can do chores - things that are above and beyond the chores you'd normally expect of them - to earn a small amount of money. (I never pay over $1 to my children, ages 8 and 5. Usually their payment is 5 - 75 cents.) Or, if your child wants a particular thing, have him do something special for it for a length of time before you buy it for him. For example, my 5 year old just earned a toy he'd been pining for by picking up ALL the toys in the house every day (without me nagging him) for two weeks. Working for things, or paying for them, helps children understand that those things come with a price beyond dollars. * The Ol' Switcheroo. Whenever your kids start talking self-centered desires, gently lead her to think about others instead. 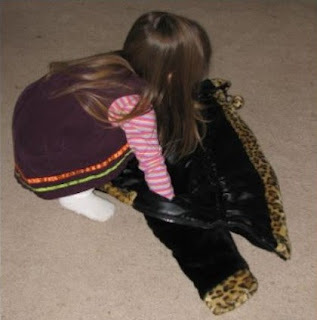 For example, if your child goes on and on about a thing she wants, ask her what others may be wanting or needing. * Gratitude in Prayer. Teach your children to start every prayer by thanking God for as much as they can think of. Then teach them to pray for others before they pray for themselves. Model this type of prayer whenever you pray aloud with your kids. * Have Them Give. Visit a charity website like Heifer International. Help your children understand the need, then encourage them to give to the charity. If they are doing extra chores for money, have them set aside not only a tithe for church, but also a portion for those in need. Help them find ways to serve others without using money, too. For example, could your child help in a soup kitchen? Or show kindness to an elderly neighbor? 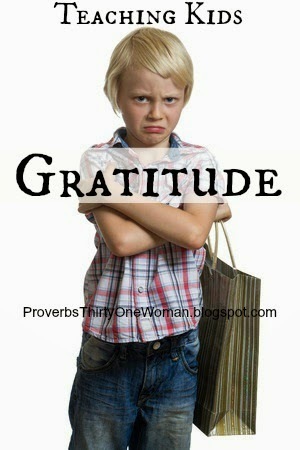 How do you encourage gratitude in your children? 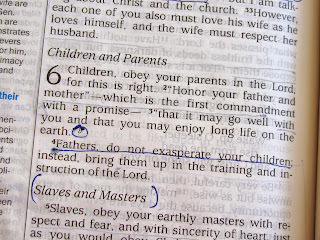 The Bible tells us that children who honor and obey their parents will be blessed and live long lives (Eph.6:1-3). 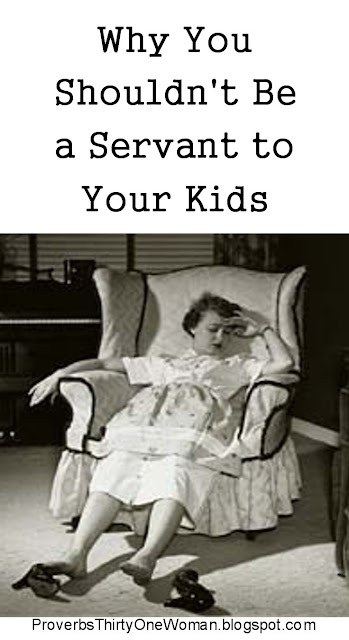 Honoring and obeying parents is one very big way children can also honor and obey God. Unfortunately, our society isn't much into obeying or honoring anyone. So this is a lesson parents need to teach - and teach repeatedly. Here is one way to introduce your children to the concept. Read Exodus 20:12, Colossians 3:20, and Ephesians 6:1-3, out loud, from your Bible. Talk about what it means to honor someone - how actions and words can either honor or disrespect. Give examples, including those that include tone of voice and body language. In Shepherding Your Child's Heart (a book every Christian parent should read - more on that in a future post), Ted Tripp explains "the circle of protection," which is a helpful way for children to understand biblical promises about children obeying their parents. The child is within the "circle of protection" as long as she honors and obeys her parents - and therefore honors and obeys God. But as soon as the child is disrespectful or disobedient, she is outside that circle of protection and can expect the opposite of what Ephesians 6 promises. To illustrate this, draw a large circle (at least 19 or 20 inches in diameter) with chalk on the sidewalk or driveway. 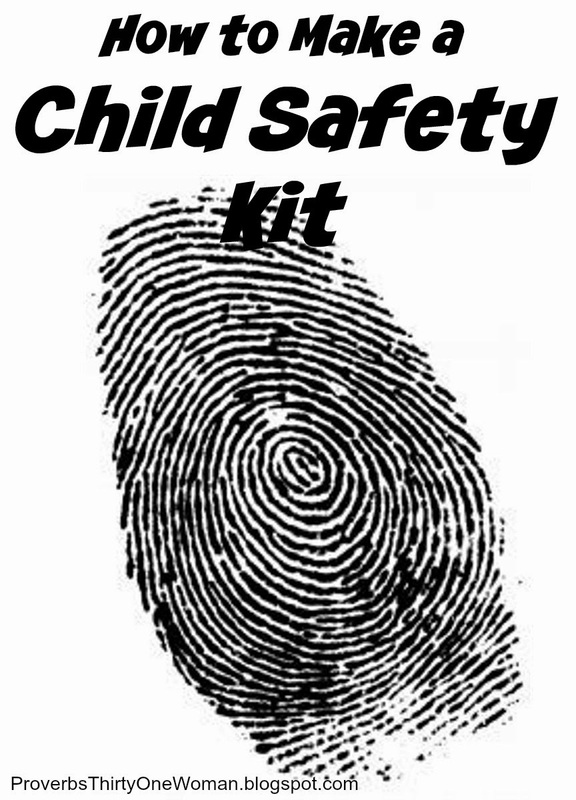 Have your child stand it in, then use a hose or squirt gun to spray water around - but not on - your child. Say, "As long as you're in the circle of protection, you won't get wet." But as soon as your child steps outside the circle, give him a fun spray of water. Say, "Ah! You stepped outside the circle. What happens when you do that?" * Doing what's asked of him immediately. * Doing what's asked of him cheerfully. * Doing what's asked of him completely. * Doing what's asked of him without complaining. Sometimes I also give my children of examples of how true obedience looks and can thwart bad things from happening to them. For example, when we watch The Sound of Music, I always point out how the littlest VonTrapp child is told to be quiet when they are hiding from the Nazis. She obeys perfectly. I ask, "What might the consequences have been if she'd disobeyed? Or complained? Or asked 'Why?'" 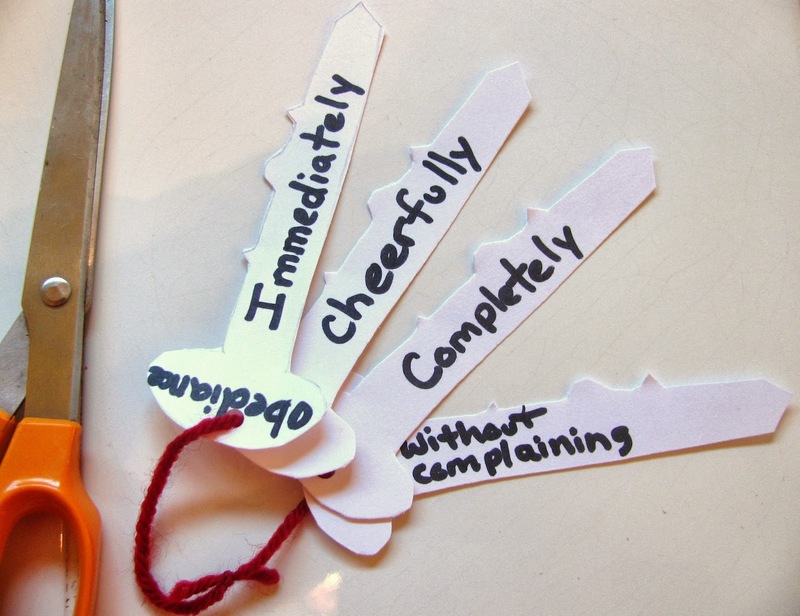 A good way to help your kids remember aspects of obedience is to make paper keys with each step listed on them. 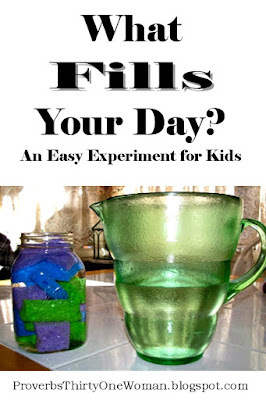 You'll find complete instructions for doing this at The Better Mom. First, explain who's the boss: God. Then explain that God put Daddy in charge of your household. Mommy and the children need to obey him, because that's what God says, and we want to honor and obey God. Next in line is Mommy; the children must obey her, as well as Daddy. 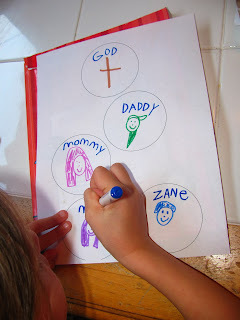 Then you can either create a family mobile, showing everyone's position, or you can simply draw some circles on a piece of paper and have your children draw a cross (or some other symbol of God) in the circle at the top of the page; then a portrait of Daddy in the circle just below that; then a portrait of Mommy in the circle just below that. Finally, have circles for portraits of each child at the bottom of the page. 1. Obey immediately, cheerfully, and without complaint. 2. Ask respectfully if something else is acceptable. For example, if I ask my child to go clean his room, he should say, "Okay, Mama" and head toward his room. On his way there, however, he could respectfully say, "Mama, I thought you said earlier that we were going to the park this afternoon. Can we do that before I clean my room?" These activities are a great introduction to the concept of obedience, but you shouldn't talk to your children about this just once. Bring it up in daily or weekly conversation. Let your children see you submitting to your husband, and your husband submitting to God. Whenever you discipline your kids, remind them God commands you to correct their actions - and for their soul's sake's. Remind them that by disobeying you, they are disobeying God. Coveting, or wanting what others have, is a huge problem in our society. It's what fuels occupy protestors. It's behind the cry for higher taxes. It's the basis of most television commercials. I think we all fall into the trap of coveting at least once in a while. 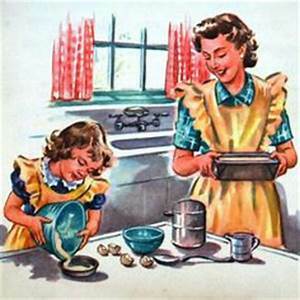 Have you ever thoughtL "I wish my husband helped with the kids like her's does" or "It must be great to have a husband who helps with the housework. Wish mine did." Oops. That's coveting. And how many times have I heard other mothers say things like, "I wish we were able to take a yearly vacation like the Smith family." Or, given the right tone of voice, "It must be nice to have a grandma who watches the kids for you once a week." Oops again; that's coveting. But as mothers, we are concerned not just with our personal sin, but about modeling correct thinking and behavior for our children. I feel pretty certain none of us wants our kids to grow up thinking everything should be given to them, or that if they want something somebody else has to get it for them. But with coveting being such a major feeling these days, how can we prevent them from growing up this way? * Model good work ethic. * Avoid speaking covetous thoughts aloud. But if you slip, by all means, let your kids hear you ask God for forgiveness. You might also use such an occasion as a way to start a conversation about what coveting is and how the Ten Commandments show us it's wrong. * Encourage your children to give to those in need. Help them to see that it's their personal responsibility to help the needy. * Volunteer at a shelter or travel to a third world country (even if only via the Internet). Help your kids see how much they truly have. * Encourage thankfulness. Every day, have your child thank God for at least one thing. Once in a while, have each child write (in words or pictures) things they are thankful for. When times are tough for your child and he is struggling with covetness, ask him to name a few things he is especially grateful for. * Read 1 Kings 21. In this story, a king's covetness leads to murder. It's an extreme example, but see if you and your child can think of other stories where jealousy and covetness lead to bad things. * Help your child think things through. If she is upset because she doesn't have the latest video game, ask, "If you had it, would you really be any happier? What if your friend got 10 new games - would you still feel as happy?" Encourage your child to come to the conclusion that things you can't buy are what truly make us happy. Maria Montessori, creator of the now-famous Montessori teaching method, believed children should only be exposed to nonfiction books. She felt reading fiction only confused children - and taught them not to trust adults. While I would never prevent my children from listening to or reading fiction (since it's often a fun and effective way to teach facts and morals), I understand where Montessori was coming from. 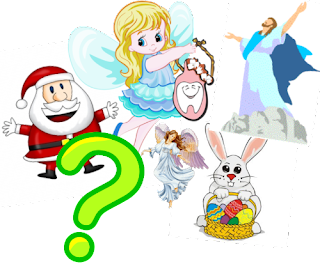 As Christian parents, we need to be mindful to help our child wade through the mix of real and unreal they encounter every day: The Easter Bunny is pretend, Jesus is not. It's confusing stuff! 1. From the moment I started telling or reading stories to my children, I labeled the story pretend or real. For example, whenever I pick up a storybook Bible to read to my kids, I say something like, "Now we're going to read some true stories about Jesus." When children are quite young, it doesn't matter if they don't know the difference between "true" and "pretend." Now and then, I explain this to them briefly, but never expect them to fully comprehend. Instead, I just focus on labeling the story appropriately. When we're done with the story, I also sometimes label it again: "Wasn't that a neat story about Jesus? And it's all true!" 2. I'm not afraid to have conversations about what's real and what's pretend. I'm always honest. If my child asks if the Tooth Fairy is real, I smile and say gently, "The Tooth Fairy is pretend. But it's fun to pretend, isn't it? Who do you think really puts coins under your pillow? What do you think the Tooth Fairy does with all that money?" 3. I taught my children, right from the start, about common childhood fantasy characters. For example, both my children knew from the time they were babies that Santa Clause is pretend. We read books about the man who inspired the myth of Santa (St. Nicholas) and we always said, "Santa is just for fun. He's pretend." This is NO WAY reduced the wonder and joy of Christmas for my children! Both my kids sit on Santa's lap. Both of them talk about how he leaves gifts in their stockings. Neither child finds this confusing - although my 4 year old sometimes forgets Santa is pretend. And that's okay! Young children have impressive powers of fantasy; God made them that way for a reason. But the Bible teaches that lying is sinful - so I simply won't lie to my kids. When my son is a bit older, he will know the fact that Santa is pretend - and will be able to combine it with a mature understanding of the difference between fantasy and reality. By the time your child is around 7 years of age, he or she will usually have a good grasp on what is real and what is not. 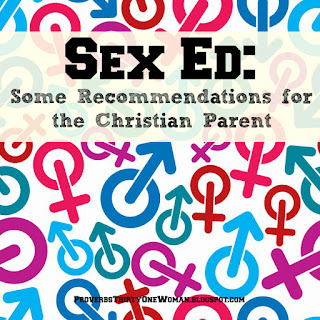 This not only is an important life skill, but it deepens your child's spiritual life. I can talk to my kids about angels - or God - never fearing they believe either are pretend. I know many modern parents fear they are somehow robbing their kids of childhood by being honest about these things - but I repeat: My children's world is packed full of wonder, including fun things like Santa and the Tooth Fairy. Kids, you see, have much stronger powers of pretend than their parents. Just the way God intended.